Make your clients fans of your brand with this 10" x 9" 4-sided megaphone with handle. Its 18 pt. 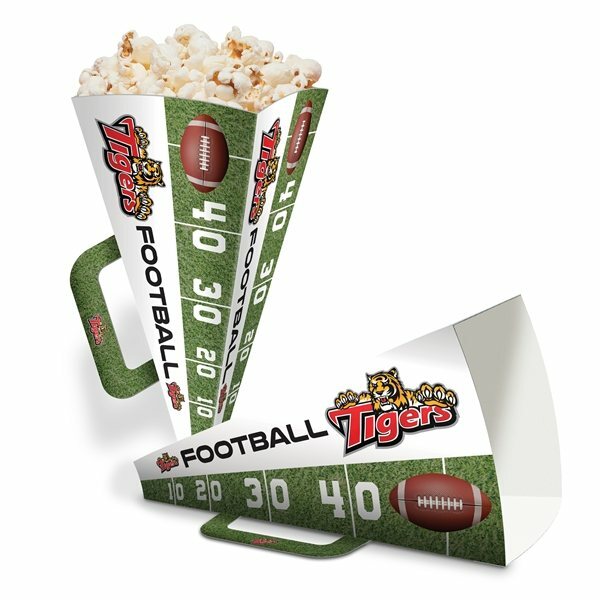 coated paper makes it ideal for cheering on the team while your brand name is emblazoned on the side. Also makes a great popcorn holder to enjoy your snack and cheer your team on after you're done. One side laminated full color digital print included, ships flat.